LoboTHON is a student-run philanthropy organization at The University of New Mexico. This organization donates 100 percent of money raised to the UNM’s Children’s Hospital. Last year, LoboTHON exceeded their goal of $66,000 and instead raised $95,432.18. This year, LoboTHON has set a new overall goal of raising $100,000 for the 2018-2019 school year. 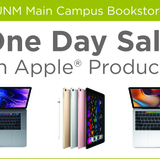 Empire Board is located across the street from UNM Main Campus at 3503 Central Ave NE. It is $3 per person per hour to play and donate. Proceeds will be given to LoboTHON to help achieve their overall goal. There will also be a gift card raffle at every hour. For more information on how to donate and participate in LoboTHON, visit LoboTHON.